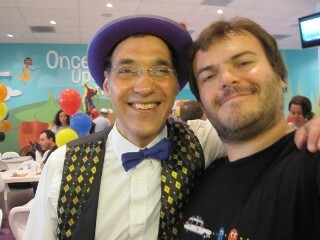 Choose a magician who is also a Great Entertainer! Vince Vaughn Cast Jersey Jim in the film, "Couples Retreat!" "Jim, your show was awesome! My son was dying with laughter!" 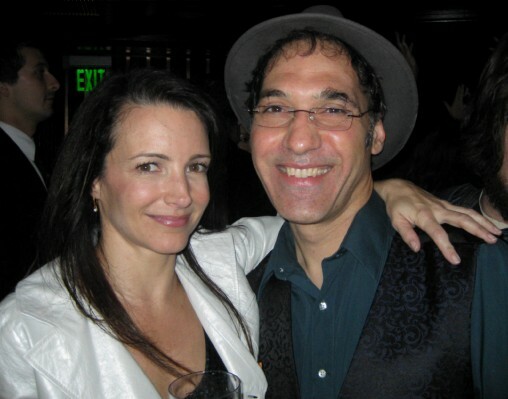 Kristin Davis with Jersey Jim at the wrap party for, "Couples Retreat"
Jersey Jim will make your next event unforgettably amazing, unbelievably exciting, and, above all, unrelentingly funny! 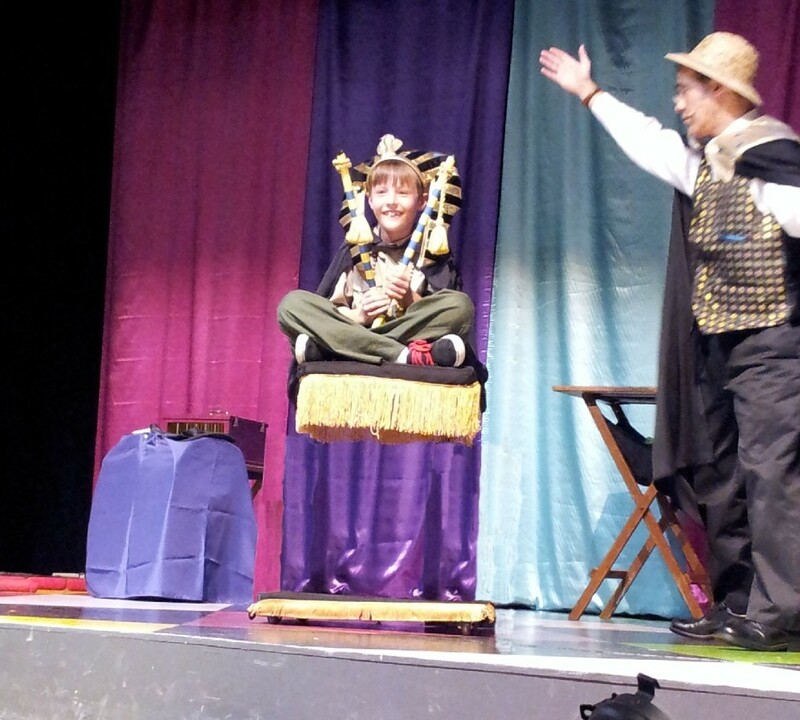 Jim's magic is a "wow" his comedy is a "howl!" Where Does Jersey Jim Perform Magic Shows? Jim Performs Magic Shows in... Alhambra, Anaheim, Arcadia, Artesia, Azusa, Baldwin Park, Bellflower, Beverly Hills, Brea, Buena Park, Burbank, Calabasas, Carson, Cerritos, Chino, Claremont, Colton, Commerce, Corona, Costa Mesa, Covina, Culver City, Cypress, Dana Point, Del Mar, Diamond Bar, Downey, Duarte, El Monte, El Segundo, Fontana, Fountain Valley, Fullerton, Garden Grove, Gardena, Glendale, Glendora, Hawaiian Gardens, Hawthorne, Hermosa Beach, Huntington Beach, Industry, Irvine, Irwindale, La Habra, La Habra Heights, La Mirada, La Puente, La Verne, Laguna Beach, Laguna Hills, Laguna Niguel, Laguna Woods, Lake Forest, Lakewood, Lomita, Long Beach, Los Alamitos, Los Angeles, Malibu, Manhattan Beach, Maywood, Mission Viejo, Monrovia, Montclair, Montebello, Monterey Park, Moreno Valley, Murrieta, Newport Beach, Norwalk, Ontario, Orange, Palos Verdes Peninsula, Paramount, Pasadena, Perris, Pico Rivera, Placentia, Pomona, Rancho Cucamonga, Redondo Beach, Redlands, Rialto, Riverside, Rosemead, San Bernardino, San Clemente, San Dimas, San Fernando, San Gabriel, San Juan Capistrano, Santa Ana, Santa Clarita, Santa Fe Springs, Santa Monica, Seal Beach, Sierra Madre, Signal Hill, South El Monte, South Gate, South Pasadena, Stanton, Temecula, Temple City, Thousand Oaks, Torrance, Tustin, Upland, Vernon, Villa Park, Walnut, West Covina, West Hollywood, Westlake Village, Westminster, Whittier, and Yorba Linda.